Cells are what you are made of. There are two different types of cells: an animal cell and a plant cell. Plant cells have parts which animal cells do not. We are made of animal cells. 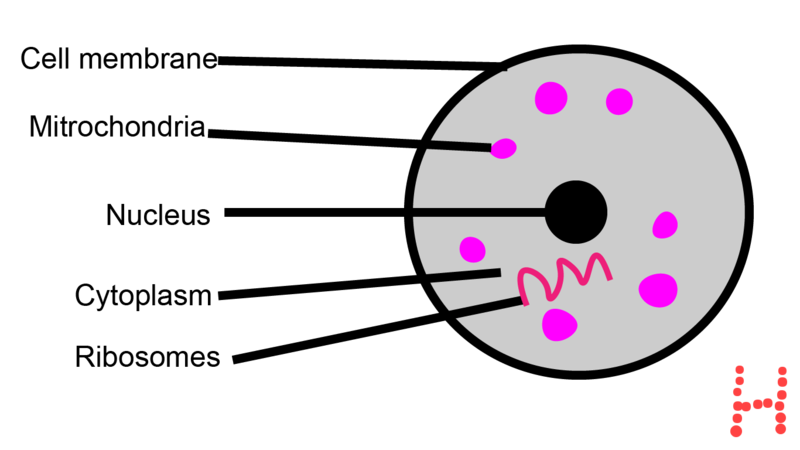 Cytoplasm: This is the part of the cell where all the chemical reactions take place. :Controls what chemical reactions happen inside the cell. Mitrochondria: All the reactions to do with the animals’ breathing take place here. 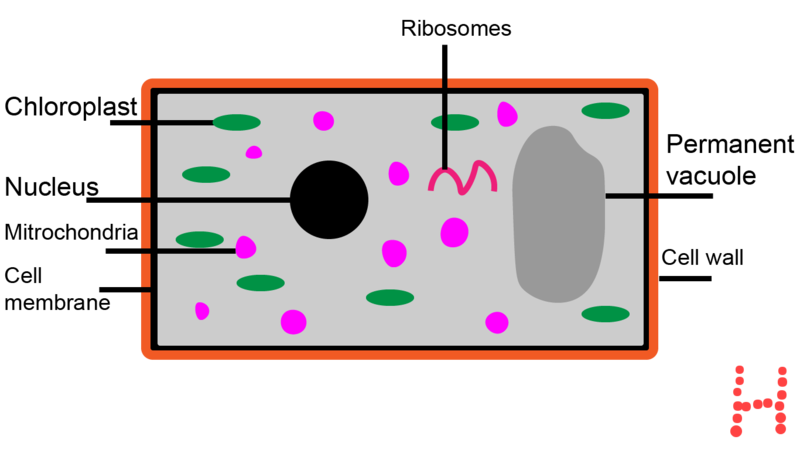 Above is a diagram of a plant cell. All plants will have these specific types of cells. Cellouse cell wall: An extra layer in order to protect the cell. Vacuole: The vacuole does many different jobs, including keeping bad things away from the rest of the cell and getting rid of things that the rest of the cell does not want. Chloroplast: This part contains chlorophyll and is also where photosynthesis takes place. Ribosomes are parts which are in most cells and their job is to connect the amino acids together in the cell. Just like construction workers!